The Question. As noted in the preceding section, the question is none too genuine. Both Jesus and the Pharisees – and anyone listening in on the dialogue – know that Dt 24:1, part of the Torah (Law), is the basis for the practice of divorce: “When a man, after marrying a woman and having relations with her, is later displeased with her because he finds in her something indecent, and therefore he writes out a bill of divorce and hands it to her, thus dismissing her from his house.” As ever, the Pharisees’ question has little to do with marriage or divorce, but concerns teaching authority (and their desire to trap Jesus so that they will be able to bring charges against him). We have already seen this pattern in 2:1-3:6 and 7:1-23. Then, Jesus responded with Scripture and challenge traditional understanding of the Pharisees’ teaching. Later we will see a question from the Sadducees about the resurrection (12:23) and the Herodian question about the tribute (12:15); they are also questions designed to make Jesus incriminate himself. In Matthew’s gospel, Jesus provides an exception in the case of porneia (a difficult word to clearly understand what it implied in Jesus’ time). But is this similar to the exception provided by Moses? Yet, Paul says that divorce is permitted in some instances when an unbelieving partner requests it (1 Cor 7:15). Is this an exception? Then again, Paul says that it is the sign of a good spouse not to divorce his or her unbelieving mate (1 Cor 7:12-13). I point this out to indicate there is a simplicity and yet a complexity about the topic of divorce – even in the text of the New Testament. The Catholic scholar, Raymond Collins’ work, Divorce in the New Testament, points out it a challenge to scripture scholars to answer the question: what did Jesus teach when Sts. Matthew, Luke and Paul seems to return to limited exception? We can say what Jesus does not do. Jesus avoids taking a position on the hidden question of Herod Antipas’ marriage to his sister-in-law. He does not comment on the Law by debating the circumstances under which a husband might be permitted to divorce his wife. Jesus does not deny that Moses established a procedure by which a husband might divorce his wife. At the core of it all, Jesus is pointing to the very same section (Dt 24:1) and implying, “This is what Moses gave you. It is a human tradition that arose from compromising God’s intention because of the hard heartedness of humanity (v. 5). In other words, “You ask about what Moses commanded, but it is really about what Moses allowed because of hard heartedness. 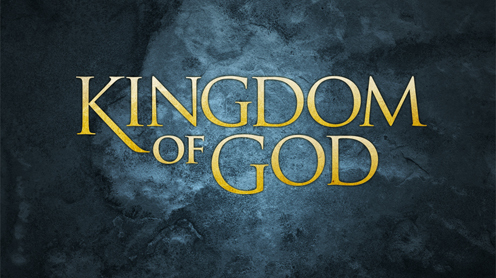 The fact that it is what “allowed” makes clear that it was not what God intended.” Mark’s readers know that the kingdom of God, inaugurated by Jesus’ ministry, does not belong to the hard-hearted, faithless generation with which Jesus constantly has to contend (9:19) – but this generation is called to discern the will of God in such matters. The Pharisee do not seem to question the distinction Jesus makes, indicating that they understood that the real question is whether the hard hearted are able to truly discern God’s will. Mark 10:2 Pharisees. Many manuscripts of Mark do not have “Pharisees” in the verse. Scholars think this was a later harmonization with Matthew’s text. In any case, Jesus will frequently enter into debate with various Jewish groups, including the Pharisees. divorce: the verb apolyein, used in the context of marriage, is generally translated divorce. More broadly it means sending the woman away from the household. Mark 10:3 What did Moses command you? In fact, Moses commanded nothing that is recorded in Scripture. It is clear that divorce [“setting aside”] was the practice in Jesus’ time. Consider Joseph’s initial plans when he heard that Mary was with child. Mark 10:4 bill of divorce: According to Dt 24:1,3 the husband wrote out a document declaring that he had divorced his wife and sent her away. Possession of this document provided the woman with the legal proof that the marriage has ended and she was free to marry another. In part, it was protection against the former husband making later claims against her. This entry was posted in Scripture and tagged divorces, mark-10-1-4, Moses by Friar Musings. Bookmark the permalink.